The next webinar in DBIA's "Design-Build Done Right" series will be presented live on Tuesday, Oct. 22, from 1:30-3:00pm, an important webinar on problem-based contracting will be presented, "Proposed Solution Does Not Equal Problem Solved." On Oct. 29, from 1:30-3 p.m. ET, the subject will be "Developing Procurement Documents for Progressive Design-Builders" and on Nov. 12, also from 1:30-3 p.m. 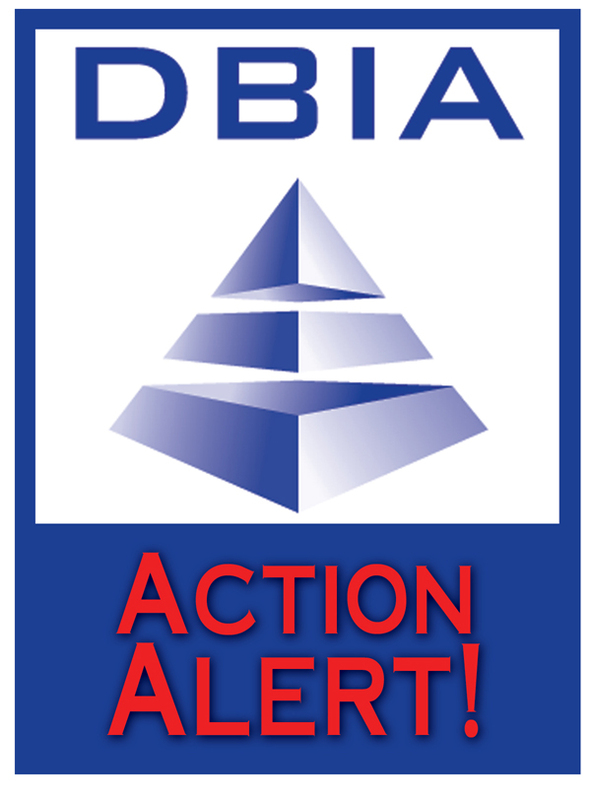 ET, the webinar will focus on "DBIA Contract Focus on The Prime Relationship: Communication Between the Owner and Design-Builder." This past week, DBIA's Web & Graphics Systems Manager, Todd Rich, celebrated her 16-year anniversary as a DBIA employee. Todd sat down with us to discuss the tremendous changes DBIA has gone through since she started in 1997. The Design-Build Institute of America, the only organization that defines, teaches and promotes best practices in design-build, has released research indicating that design-build project delivery represents nearly 40 percent of total market share in the United States, based on dollar value at the end of 2012. This represents an eight percent growth increase since 2005. The geographic area with the highest design-build delivery market share is the Pacific region at 59 percent. In addition, research findings show the Military sector dominates design-build project delivery with an 81 percent market share. In the Vancouver, B.C., region, the Fraser River separates the city center from suburbs to the south and east. For decades, the 1960s-era Port Mann Bridge was the primary route across the river, serving more than 800,000 vehicles in a single week. But the four-lane bridge couldn't keep pace with the growing needs of the region. In fact, the old bridge was congested up to 14 hours a day. A fifth lane was added in 2002, but it was not enough. Fluor Corporation announced that the company's I-15 Corridor Expansion (CORE) project for the Utah Department of Transportation was selected as one of five finalists for the American Society of Civil Engineers (ASCE) 2014 Outstanding Civil Engineering Achievement (OCEA) award. The design-build project, completed by the Fluor-led Provo River Constructors joint venture, involved the widening and reconstructing of 24 miles of freeway in 35 months. The New England Mechanical team completed this project — which also required a new controls system — in approximately one year’s time. Because of the intense amount of work it handled so admirably, this project has been awarded a Design/Build Award from ContractingBusiness.com. Sharon Thom has been named senior vice president and Hawaii area manager for Kiewit Building Group Inc. Thom, who joined Kiewit in 2010 as director of pre-construction operations, succeeds Lance Wilhelm, who was recently promoted to senior vice president of Kiewit Corp. over its Hawaii operations and is playing a significant role in Kiewit's construction of the $5.16 billion Honolulu elevated-rail mass-transit line. The California High-Speed Rail Authority has called for contractors to submit their qualifications to bid on the 60-mile phase of construction from Fresno south to the Tulare-Kern County line near Bakersfield. Firms will have until Dec. 6 to submit their statement of qualifications. The Authority will then review these applications and establish a shortlist of the most highly qualified firms to provide design-build services for the project. Firms will be selected based on experience, technical competency, ability to perform and other factors. The shortlisted firms will then be eligible to submit formal design-build proposals in 2014. A political action committee headed by House Speaker Joe Straus to promote passage of a ballot proposition funding new water projects has raised almost $1 million since its creation in August. The Water Texas PAC reported contributions of more than $952,000 for the period between July 31 and Sept. 26, according to a new campaign finance report. More than half of the haul, a total of $625,000, came from a pair of six-figure checks written by the Associated General Contractors of Texas and the Dow Chemical Company. The airport served 17.2 million passengers in 2012, and the latest available figures for August 2013 show a +2 percent increase year-on-year. The Green Build comprises several projects that provide a more pleasant travel experience for passengers. The first thing passengers notice is the dual-level roadway, which, for the first time, separates the airport’s arriving and departing passengers. Register for the 2013 Design-Build Conference & Expo by Friday, Oct. 25 to take advantage of our Advanced registration rate. Individuals who register before COB Oct. 25 will save $100 off a full conference registration. Register now before prices increase!